Buildings, contents and combined home insurance policies. Looking for high quality homeowner insurance at a good price? Get a quote online in just 10 minutes! There are two main types of home insurance that homeowners take out. Buildings insurance insures your property and if you have a mortgage, then it’s usually mandatory to have buildings insurance in place. In order to get cover, you need to know the rebuild cost of your home. 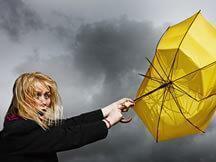 You may also want to take out contents insurance to protect your furniture and personal possessions. HomeProtect can provide you with online quotes for buildings insurance, contents insurance, or a combined policy. Our homeowner insurance is designed to be as flexible as possible, so you can tailor the cover levels to meet your needs. Rated 5 Star by Defaqto, an independent researcher of financial products, for the fourth year running in 2018. Underwritten by AXA Insurance and other trusted insurers. User friendly online quote form, most people get a quote in less than 10 minutes. 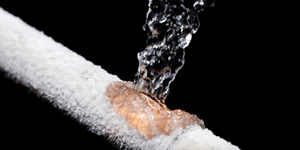 Avoid stressful home emergencies this winter! Read The Ultimate Guide to Winter Home Protection. Yes, HomeProtect provides cover for let to tenant properties, holiday homes, weekend homes and unoccupied properties. If your home is built with non-standard construction materials, or it’s a Listed Building or it was built before 1720, you will need to consult a Chartered surveyor to provide you with an accurate rebuild cost. Get a quick and easy quote online, start here. Or you can phone our friendly team on 0330 660 1000. Excellent service, easy to purchase and good cover to suit my need. The cover it offered and the price it quoted for renewal were both excellent value for money. Will use again.